One piece full grain featuring a 3 Piece Buckle set Antique silver finish. 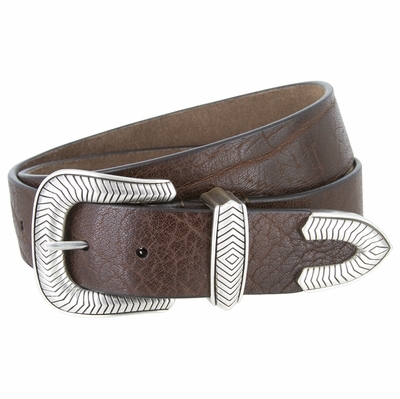 High quality leather belt that will endure and look better over time. MADE IN USA.